I LOVE Swarovski. I discovered how to make Tree of Life pendants. I recently had my first successful mobile suncatcher. 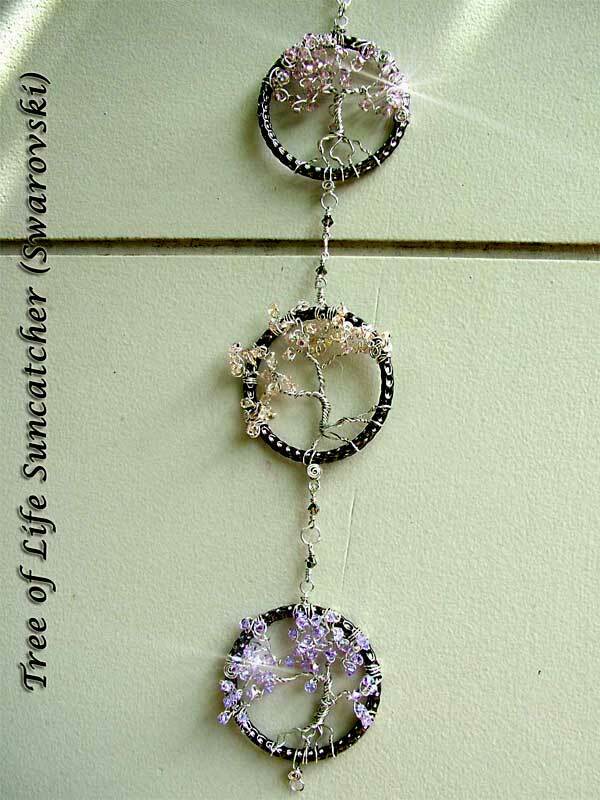 So it is not surprising that this lead me to combine-create this Triple Tree of Life Sun-catcher using Swarovski Swarovski Swarovski. I mean really, can there be better sparkles and happy sunlight reflections than with Swarovski?